Daily Show skit: Birther controversy was just about scaring old people: On last night's Daily Show, "senior black correspondent" Larry Wilmore and John Steward went head-to-head in a comedic debate about whether the Birther controversy was fueled by racism. Watch Wilmore infuriate Stewart (who even breaks into a Public Enemy song to make one of his points) by insisting that racism had nothing to do with it and that Obama actually lost his mystery when he released his certificate because he no longer has "the African thing" going on. Finally, Wilmore says — with a straight face — that the birth certificate obsession was just an opportunity for Republicans to "scare old people" (who he points out are afraid of everything, "even answering machines"). Watch and laugh. Songs to inspire and uplift black women: Black? Female? Feeling a little bummed out? A playlist comes to the rescue. According to Madamenoire, "If we're not getting called hos and being told to drop it and shake it and bounce it every five minutes in a song, other black women are calling each other hos, or doing the dropping, and shaking and bouncing in little to no clothing in YouTube videos seen by millions." They've put together a list of songs that lack the h-word, and replace it with a lot of love. 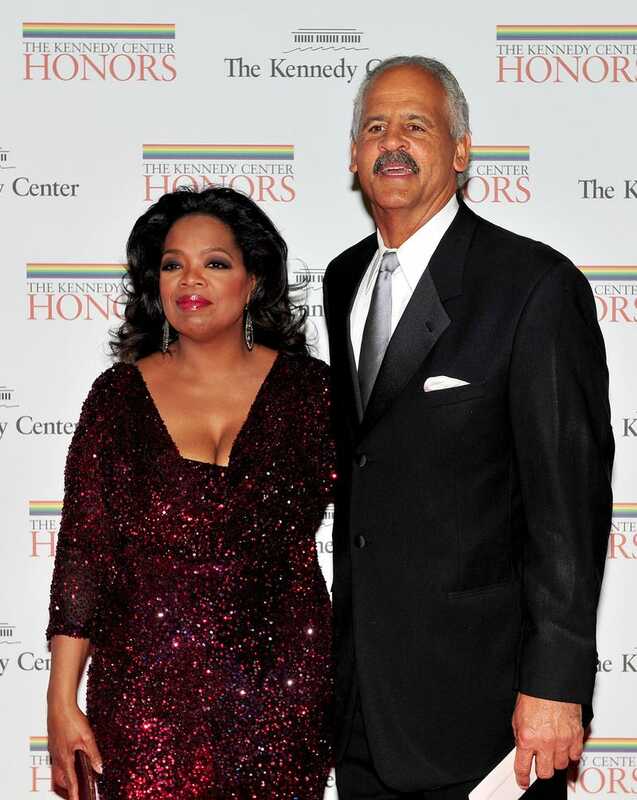 Open letter: Stedman, marry Oprah! OK, let's just start out by saying we're 100 percent sure this won't work. In today's "Have you ever considered minding your own business?" news, Elev8 reports that writer and commentator Alonzo Brooklyn is on a campaign to make a decent woman out of the Queen of Talk … or at least convince her longtime beau, Stedman, to do so. He makes his case in an open letter, highlights of which include: "[I]f he is not willing to marry her, he needs to move his behind and his stuff out of her house. Son, you have been on this gravy train too long. Marry her or get out!" And of course, it wouldn't have been complete without the inclusion of, "Put a ring on it!" Katherine Jackson's new business venture: If anyone knows about expressions of grief and love, it's Michael Jackson's mom. The Associated Press reports that she's putting that expertise and her passion for flowers to good (and, hopefully, profitable) use, consulting on and endorsing a line of floral arrangements being sold online. Jackson said that she hopes the venture will help others show their love for one another. "I think flowers speak a thousand words," she said. In other news: Sally Kern: Blacks Don't Make as Much Because They Don't Work as Hard.